The safety officer must have written proof in order to ensure you are fully insured to row un supervised on the Tideway. 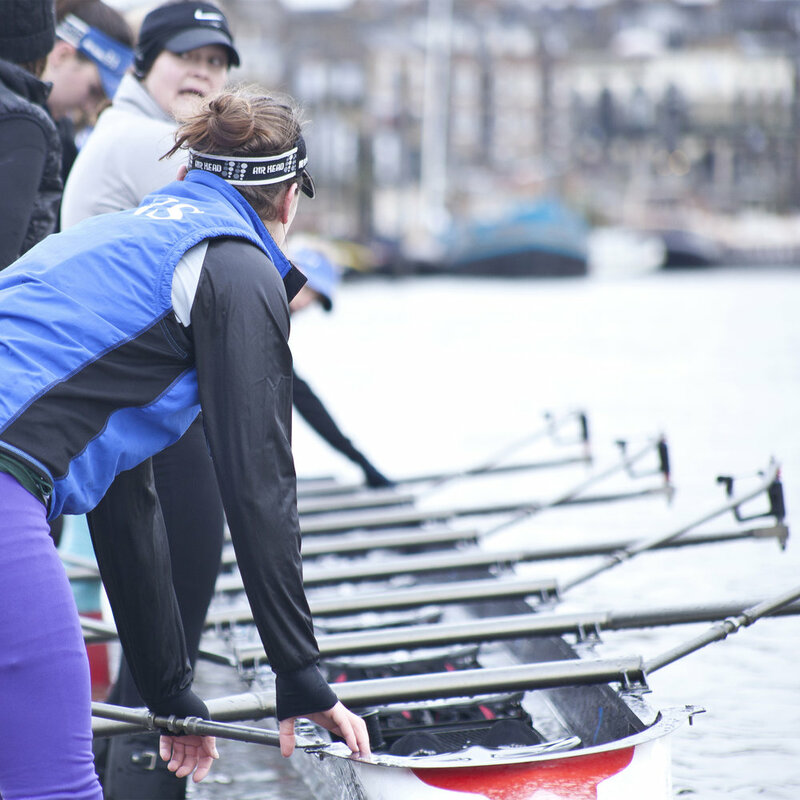 REQUIREMENTS FOR COXES, STEERS, SINGLE SCULLERS AND COACHES. Keep a good look out, the advice for single scullers and bow steers is to look round at least every five strokes. Be signed off as competent to steer the kind of boat you are in. Authorised steers are “Master of the Vessel” and legally responsible for the navigation, safety and behaviour of the crew. Log all your outings out and in. Assess the risks before every outing. Don't take the launch safety bags, or anything in them out of the boat without reporting it. On launching, the bows of the boat should always face into the stream. Push off firmly, looking to get the bow out into the river so you are able to use the oars without contacting the pontoon. On landing, again the bows should be facing into the stream - the only exception is when the wind is blowing from the opposite direction, strongly enough to move the boat against the tide. Look at the tide and know which way to take the bow or stern before you get to the bottom of the ramp. If you launch off the shingle and the tide is coming in, make sure that you will be able to use the pontoon if the tide is up on your return. Be wary of waterfowl excrement, and wash it off if you get any on you. Watch out for broken glass on the foreshore at low tide. Remove any that you do see to protect others. Dove Pier is genuinely dangerous, particularly when the tide is strong. DO NOT TURN TOWARD DOVE PIER once you have passed Latymer's pontoon heading down-river towards Hammersmith Bridge. 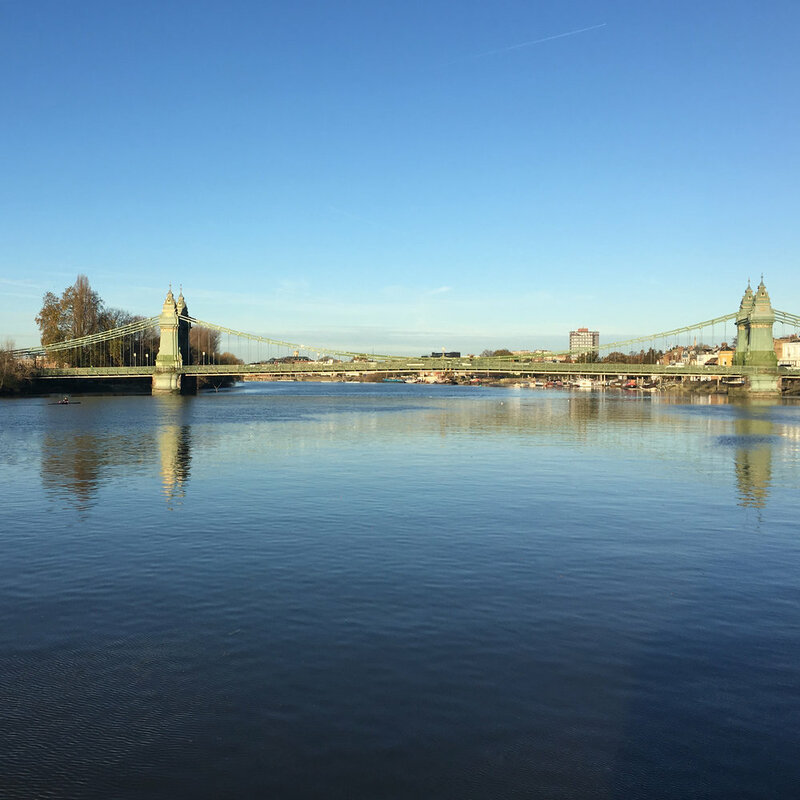 Coming up river on the flood tide, aim to pass under Hammersmith Bride under the word BRIDGE. Be wary of the large green navigation buoy placed to mark Dove Pier, as well as the pier itself. This is the most prominent hazard near the club, but there are others. Be careful of falling from the ramp, it has no handrail. 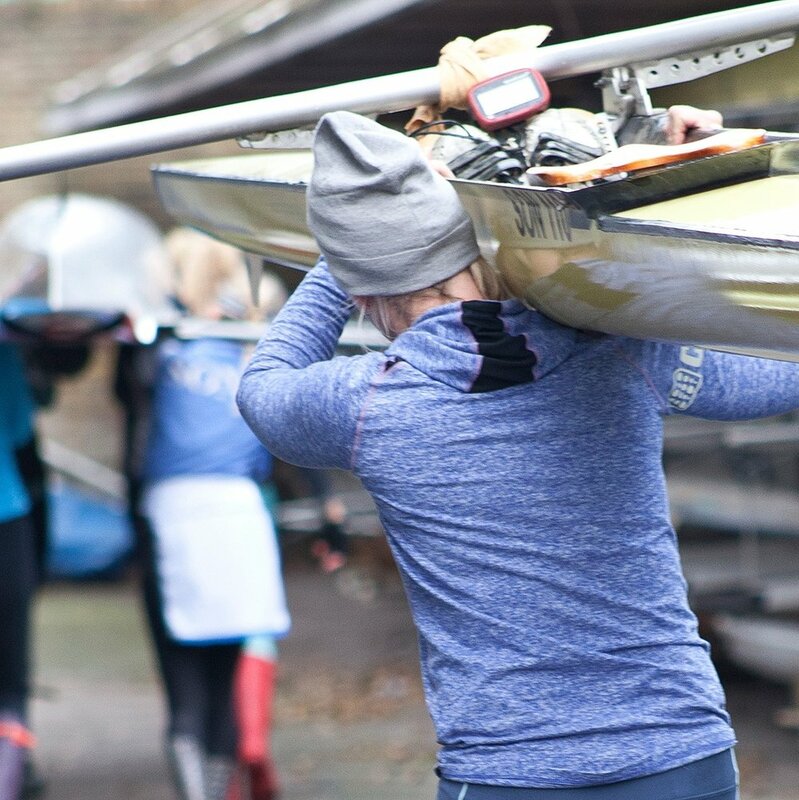 Consider whether you need extra people to carry a boat down the ramp in high winds - especially if you are a single sculler. Keep an eye on any cuts or grazes that seem to be infected and be prompt in seeking medical help. We have had a case of a "flesh-eating" bug some years ago. Consider wearing clothing to protect your calves from the slides which can cause some abrasions and cuts. Also, be aware it is possible to row, and even scull, in tight-fitting gloves. If you experience 'flu like symptoms, again, be prompt in seeking medical help. Although very rare on the Tideway, it is possible to catch Leptospirosis an infection caught through contact with infected animal urine. Be able to perform an emergency stop. Have read the Tideway Code and Row Safe leaflet. Know the responsibilities of cox, steer and coach. Know what to do if there's an accident on or off the water. Failure to see obstructions, such as the PLA navigation buoys, and other boats are likely causes of capsizes. If you do fall into the water, stay with your boat. Get as much of your body out of the water as possible, and try to swim the boat to the bank. Lights are required from dusk to dawn, much as they are for motor vehicles. White lights at both ends, visible through at least 180°. Lights must be securely attached to the boat, not the crew. It is advisable to carry a spare light and have a means of fixing it to the boat. White or hi-vis kit is recommended.